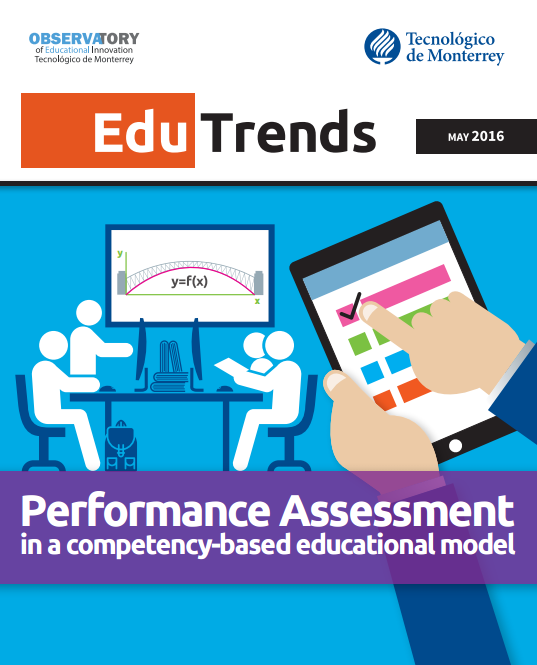 Download our Edu Trends report on Performance Assessment. The learning assessment process has traditionally been one of the most widely used forms of recognizing a person’s knowledge or skills in providing information or solving a problematic situation whenever necessary. However, learning assessment has only recently been formally integrated into school education. Academic instruction during the 19th and early 20th centuries further developed the assessment process as we know it today: a unified process to determine the limits of apprentices, under the same criteria, standards and circumstances, expressed by a numerical value. Performance assessment is the type of evaluation used in the competency-based educational model. Students' actions and products are appraised during the learning process, thus providing feedback on their learning and validating the development of competencies.